Piston rings are the most delicate parts to ensure efficient engine operation. Their major functions are gas sealing, oil control and heat transfer. 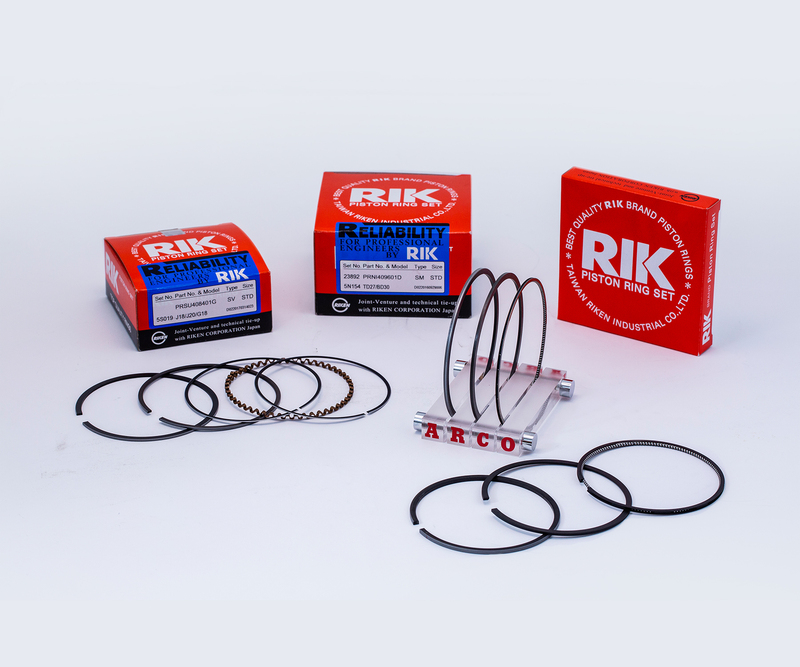 With the most stringent quality standards, ARCO is confident in offering optimal piston rings that effectively carry out these functions. * ARCO is the official distributor of TAIWAN RIKEN who is a joint venture and has technical tie-up with RIKEN CORPORATION Japan.